Our first of hopefully many giveaway contests. This one is simple as we are trying to get more fans for our facebook page. All you have to do to be eligible is be over 18, like our facebook page, AND like the facebook post that brought you to this link. On 11/1/15 we will randomly select a winner, get in contact, and mail out the gift. We’d love an update to show that it was received. Contest is void where prohibited. 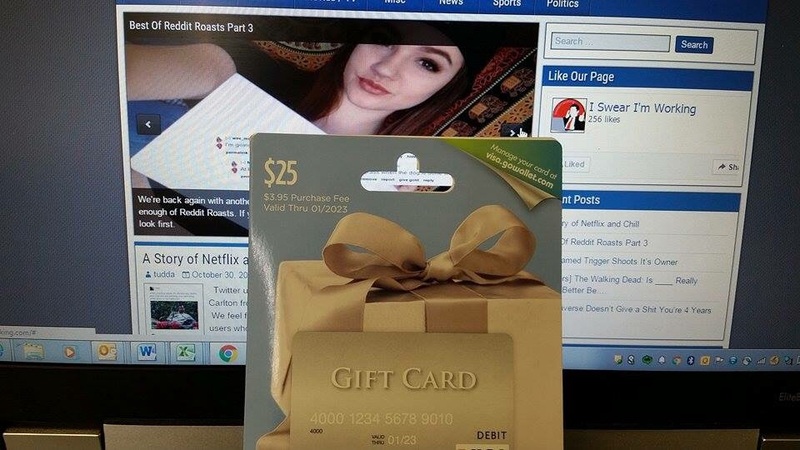 Here is an image of the actual gift card that will be dropped in the mail. If you choose not to accept it, we can also give it to a local charity! Thanks for some other informative site. Where else may just I get that type of info written in such an ideal approach? I’ve a project that I am simply now working on, and I’ve been on the glance out for such information. Iˇve recently started a blog, the information you offer on this website has helped me tremendously. Thanks for all of your time & work. Pretty section of content. I just stumbled upon your web site and in accession capital to assert that I acquire actually enjoyed account your blog posts. Anyway I抣l be subscribing to your augment and even I achievement you access consistently quickly.